View of the Annual Big Bay Boom July 4th Fireworks Show- The Largest Fireworks show on the West Coast! Of course we can’t have a party without good music. Our live DJ will be setting the mood and getting the dance floor busy with a mix of all hits, bangers, and anthems. Now onto the yacht herself, The Adventure is a triple decker beauty of a boat. With all the amenities needed to secure an amazing experience. We’re talking climate-controlled interiors, a skydeck, a stylish aesthetic, dancefloors and multiple bar areas. 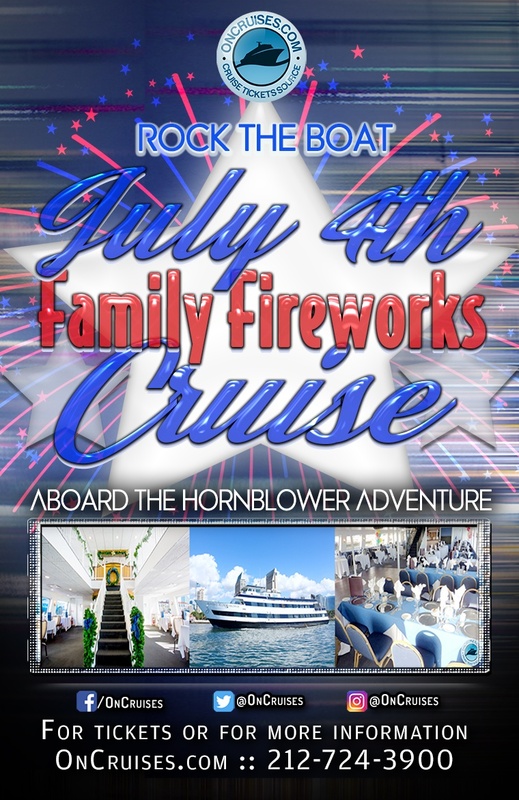 To top it all off, we’re not even filling this yacht to full capacity, only 350 guests are boarding this exclusive Fourth of July San Diego party. General Admission - Have an adventure aboard The Adventure!